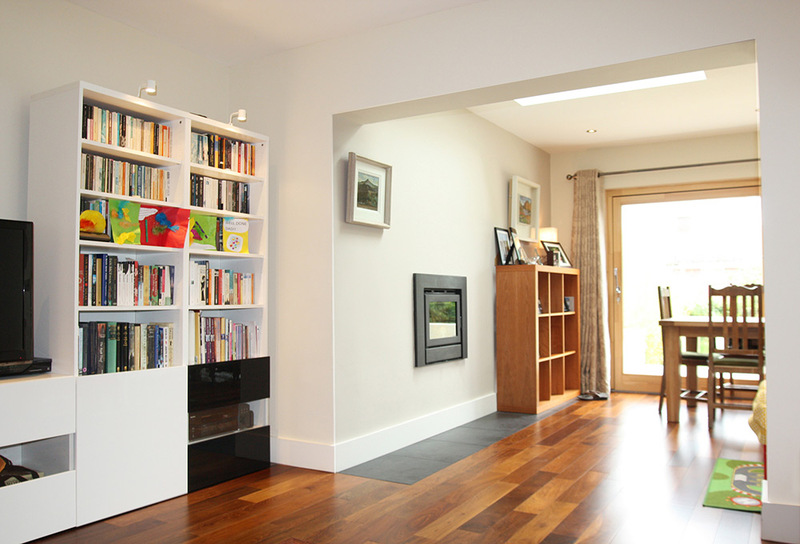 A project to extend and refurbish a family home in Clontarf. A full height glazed walnut door connects the hallway to the sunny open plan living area. The dining area opens directly to a raised terrace overlooking an extensive back garden.